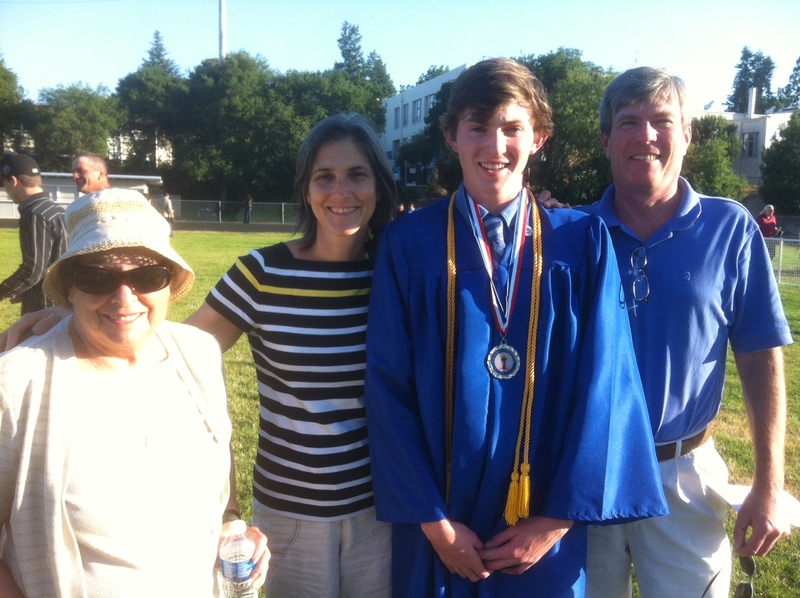 Paul Mundell graduated from Analy High School, Sebastopol CA this weekend. Nonna flew out for a visit and for the ceremony. Paul will be attending Haverford College, PA in the fall. Congratulations Paul! Wow. Someday this photo may be shown as part of the story as Paul is about to be sworn in as POTUS. We are all witnesses to history! Congratulations to Paul and all the Mundells. Congratulations to our godson, Paul, on his high school graduation. Though we were not in attendance as we had planned, we will be taking up residence at Haverford after having decided it’s a great place to be after these last four years with Kate!